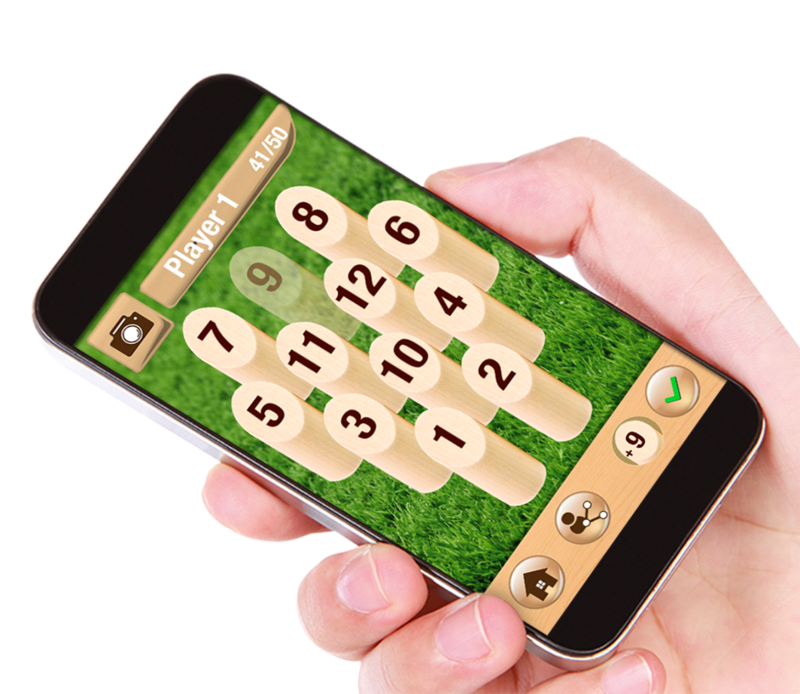 Mölkky is a fun combination of chance and skill that’s quick to learn and exciting to play. Take turns to throw the Mölkky skittle to try and knock over various numbered pins. The aim of the game is to score exactly 50 points. But watch out, if you get more than 50, your score will be knocked back down to 25! National Mölkky competitions are held in several countries around the world. Teams from all over the world gather to most important tournament of the year to compete of the World Champion title! Mölkky pins (numbered from 1 to 12) – uniquely shaped and tailor-made from 100% natural wood. Easy to stand up (stable even on uneven surfaces) and simple to knock down. Dimensions (cm) – 33 (l) x 22 (w) x 19 (h). 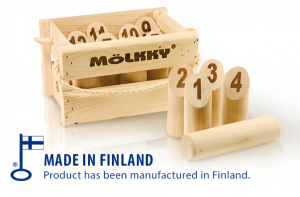 As Mölkky is made from 100% wood, exact dimensions may vary.